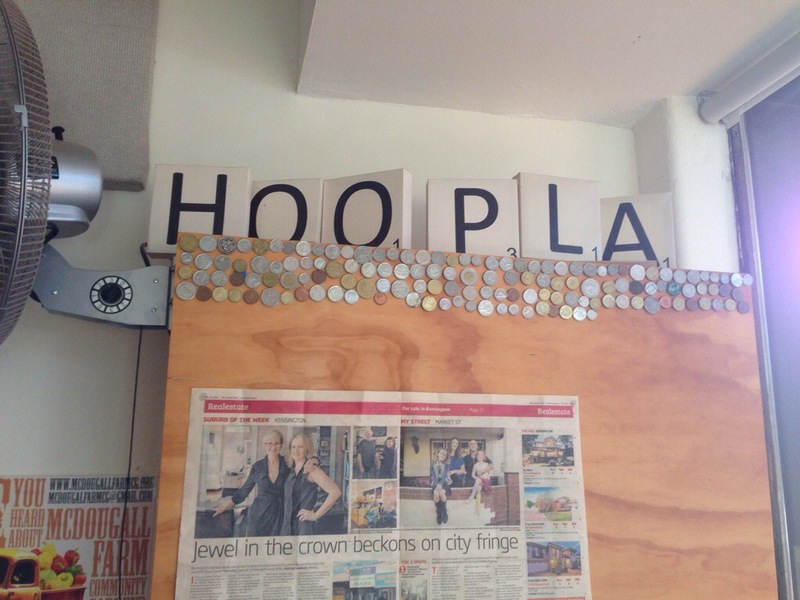 We visited Hoopla Espresso when it first opened, but hadn’t been for some time. 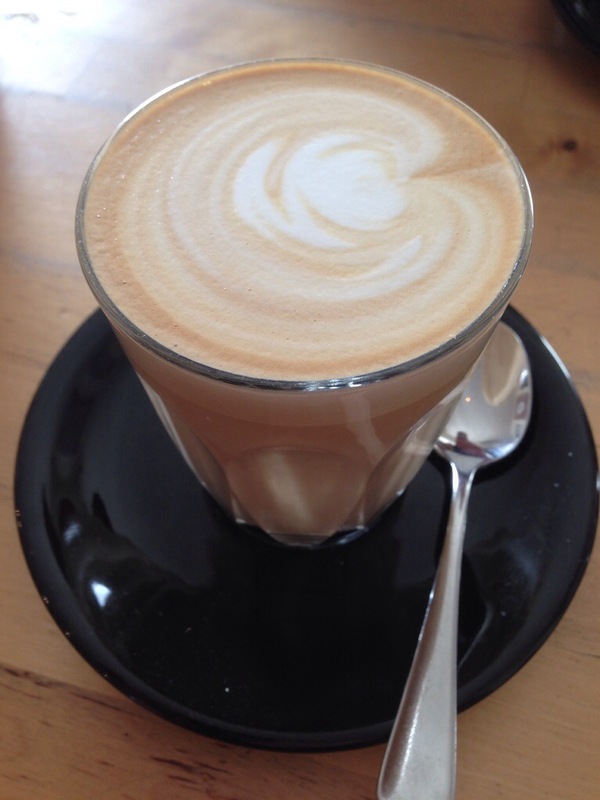 With rumours of their fantastic coffee doing the rounds we thought it was time to head back over there. The inside has undergone a great improvement in the time we’ve been away. Initially it felt a bit like the cafe ikea built, don’t get me wrong, I love ikea, but it has a lot more sophistication and a bit more comfort now. 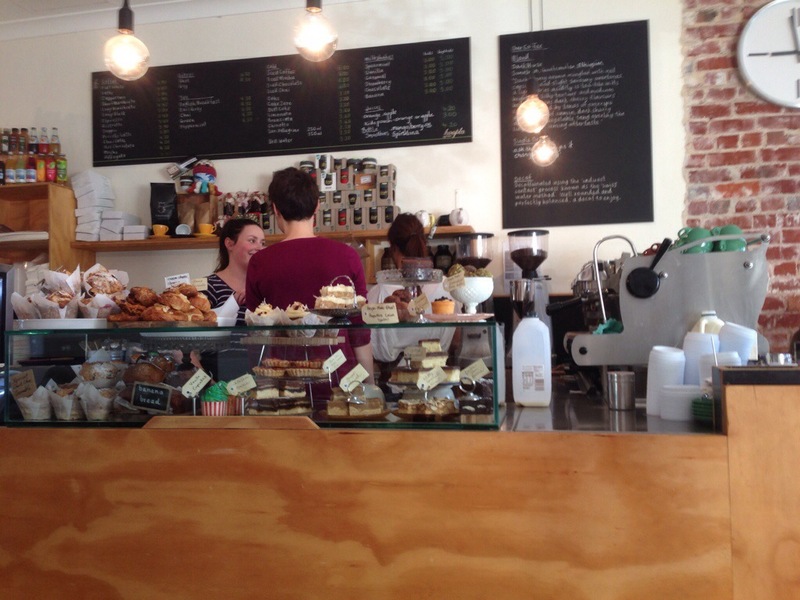 You order and pay at the counter, impressively bursting with treats and snacks. We went for a couple of sweet dishes this time, the menu favours lighter options like those we chose. Our coffees met expectations. Made with the five senses dark horse blend they were creamy, served at the perfect drinking texture and with a lovely strength. Our first dish was the Strawberry and Camembert toastie. This is a really unusual meal and something we really enjoyed. The combination of a strawberry compote and melted Camembert cheese was delicious; creamy without being too cheesy, with a mellow strawberry flavour that was never overwhelmingly sweet. The toastie was well-toasted and the flavour balance was excellent. This really was a very basic dish, but a delicious one. 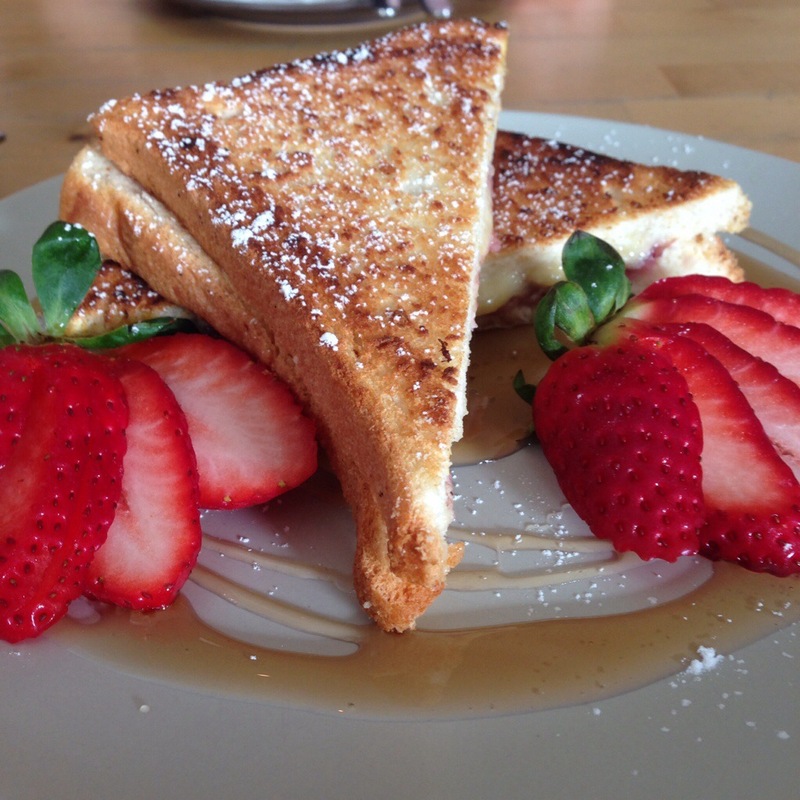 At such a cheap price we found it to be a great small breakfast or brunch option. 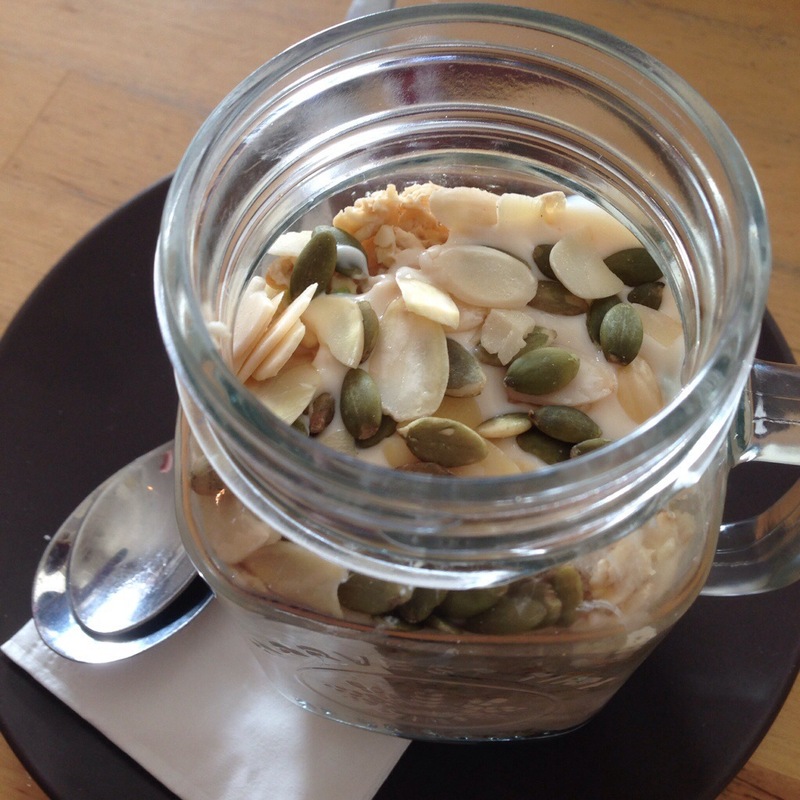 Next up was a Bircher museli, presented beautifully in a jar. It came with a berry coulis which had a hint of spice, we suspect pepper and aniseed. This again was something different, and it was nice but I’m not that fond of aniseed so ate it sparingly and well combined with the museli. The museli itself had a great mix of textures, a crunch of bits and crisp, fresh apple. Overall a filling and interesting dish, unlike any of the other muselis we’ve had of late. 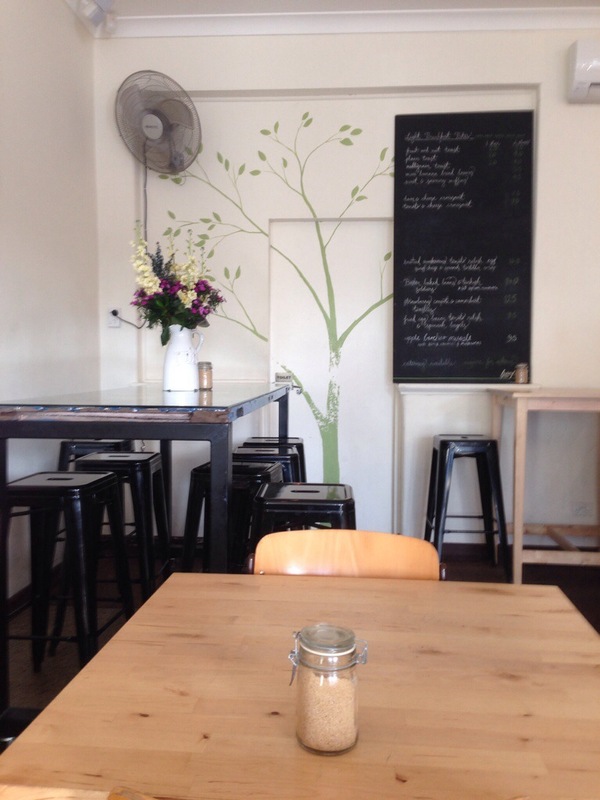 Hoopla offer light meals and great coffee in a relaxing environment. It’s no wonder it’s become a bustling little hub in the Kensington region!